Last week, a friend told me about the mental health difficulties she experienced during her pregnancy. It was her first pregnancy, and she was going through a rough time with her relationship. This caused significant stress and post-natal depression. Out of fear that she would lose her baby, my friend chose not to access therapy. It’s sad and true that many women feel like this. For my friend, this only prolonged her suffering. It’s time to dispel some myths and reduce the stigma attached to maternal mental health. Many people don’t know that what you say to a Clinical Psychologist is confidential. There are stringent conditions under which a Clinical Psychologist could share your information. I hope this will bring relief to those who are seeking therapy with a Clinical Psychologist but fear that they cannot go ahead out of fear. Like many women during pregnancy and postpartum, my friend experienced mental health difficulties. Mental health difficulties in pregnancy and postpartum are common but rarely spoken about. The psychology of childbirth is complex with vast biological changes in the woman’s body. There are also considerable changes in personal and social expectations. If the prospective mother is not well supported during this period, postpartum depression and other mental health problems can occur. Studies[i][ii] show that depression affects between one in five mothers-to-be. This can occur between the 18th week of pregnancy to six months after delivery. The highest chance of developing postnatal depression is straight after giving birth. The symptoms can last for six months or more. Those who suffer from depression during pregnancy are more likely also to suffer from postnatal depression. Back to my friend’s story. The aspect that touched me the most was her fear of seeking help from friends and professionals. She worried that people would think that she was a bad mother. She feared that professionals would take her new-born away. It is understandable that a mother would naturally feel protective of her new baby. But, such a response from professionals would have been doubtful. There was no neglect and no signs of abuse. My friend chose to battle with her mental health problems on her own, and I was glad that in her case it was a success story. Yet, no one should have to struggle with mental health problems alone. Pregnant and new mums should have equal access to mental health without fear of criticism or of having their newborns taken away. Prompt access to mental health services is not only beneficial for mothers, but it also ensures the healthy development of the child. The concept of confidentiality describes how we, Clinical Psychologists, share the information disclosed during therapy. As mental health professionals, we have legal responsibilities. We have to balance these against the privacy of our patients. 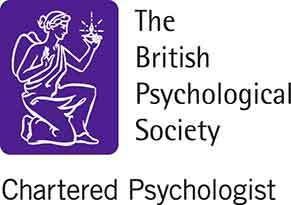 To help achieve the right balance, the British Psychological Society has published guidance. This sets out the importance of maintaining confidentiality and the limits of confidentiality. “Clients are entitled to expect that the information they give to psychologists about themselves and others will remain confidential. Psychologists have a duty not to disclose such information […]. If the health, safety, security, or welfare of the patient is at risk. If the health, safety, security, or welfare of someone else is at risk. If there are legal or safeguarding responsibilities, such as the need to avoid ‘tipping off’. All healthcare professionals including Psychiatrists, GPs, Nurses and Clinical Psychologists are under similar obligations. And it makes sense in as much as if there is a real risk then it is in both the patient’s, the child’s and society’s best interest that the risk is managed. 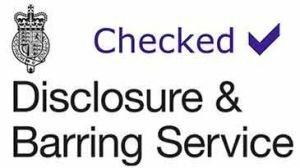 Whenever a disclosure needs to be made, the psychologist will obtain informed consent from their patients. They will explain why they need to make a disclosure and to whom. This is often a relief to patients rather than stress as it usually results in additional support being offered to them. If consent cannot be or is not obtained, the Clinical Psychologist will let the patient know what has been said and to whom as soon as possible. It is always a difficult decision when a disclosure needs to be made. In this case, choosing to make a disclosure would depend on the psychologist weighing up the needs and interests of their patient against the broader welfare, protection and safeguarding of the child. I would like to put this in context, as these situations do not arise often. Having worked with hundreds of patients and having supported them over thousands of hours of therapy, I have only had to discuss a breach of confidentiality in a handful of cases. In most cases, my clients had already taken steps, over and above what would be required, to mitigate any negative consequences of their mental health to their children. Would you hire the applicant who was aware of her mental health problems and tried to overcome them or the one who, even though clearly suffered, she remained in denial? Would you hire the applicant who sought out professional help for her mental health problems or the second who, even though acknowledged her problems, she tried to resolve them on her own? Would you hire the one who worked hard and made the most of therapy or the one who attended sessions without putting any effort? Which of the two would you consider to be more responsible? Which of the two would you trust with your new-born? I suspect you would choose the applicant who sought professional help and worked hard to overcome her difficulties. Similarly, as professionals, when we have safeguarding concerns, we tend to be more cautious when working with mothers who are in denial about their mental health difficulties, than with mothers who are honest, willing to take steps to mitigate for their symptoms and work collaboratively with professionals and their own friends and family (if available) to overcome their difficulties. There are sound psychological treatments for mental health difficulties relating to pregnancy. A Clinical Psychologist can discuss both the available therapies and clarify any issues relating to confidentiality before you decide to disclose anything about yourselves. References:[i] Evans J, Heron J, Francomb H, et al. Cohort study of depressed mood during pregnancy and after childbirth. BMJ 2001;323:257-260. [ii] Josefsson A, Berg G, Nordin C, et al. Prevalence of depressive symptoms in late pregnancy and postpartum. Acta Obstet Gynecol Scand 2001;80:251-255.